Pole a red or orange LED light into liquid nitrogen and the color will automatically change. Why would chilling down an electrical instrument give it a higher-energy light? Find out in a video below. 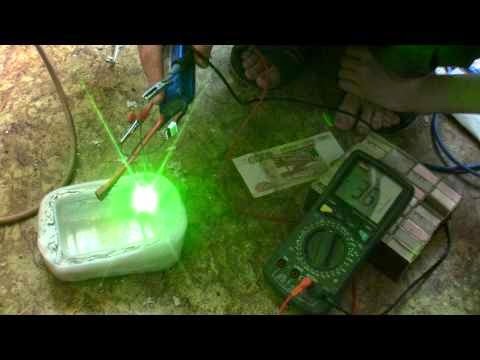 Below you can see recording of an LED light being dunked in liquid nitrogen. The light starts out comparatively low-energy, but when it cools in a container of liquid nitrogen it turns out to from an orange, to a yellow, and lastly to a yellow-green. This is an rise in the frequency of the light, and an rise in its energy. But chilling an object draws energy away. How does a cooling procedure end in higher-energy photons being released? Let's take a look at how photons are discharged in atoms. Once an atom is at rest, its electrons sit at their lowermost possible energy-levels. Bombard a photon in, and one of the electrons steps to a higher level. When it inclines once more, towards the proton, the electron gives off a photon. The bigger the flight among levels, the higher-energy the accompanying photon. And LED light works by running its electrons alongside with a negatively charged band, and then having them drop over little holes to a positively charged band. As they fall, they give off photons. 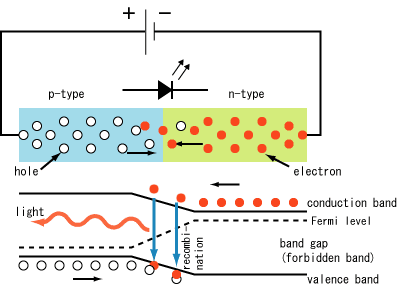 The change in energy level among the positive band and the negative band is called the bandgap. The bigger the bandgap will be, the bigger the fall, as well as the higher-energy the photons. The electrons, starting out, comprise slight thermal energy in them. When that thermal energy is drawn out, for example by a container of liquid nitrogen, the change of the energy levels on the negatively charged band and the positively charged band is amplified. The bandgap rises, the fall increases, and the photons released get more active. As the LED cools, it releases higher-energy, higher-frequency photons, and we see it variation from orange to yellow to green.